The Office of Diversity and Inclusion also supports the trainees of the McGaw Medical Center of Northwestern University. As these individuals continue in their education and take on leadership and mentorship roles, we want to ensure that they feel supported and continue in their pursuit of cultural competency. 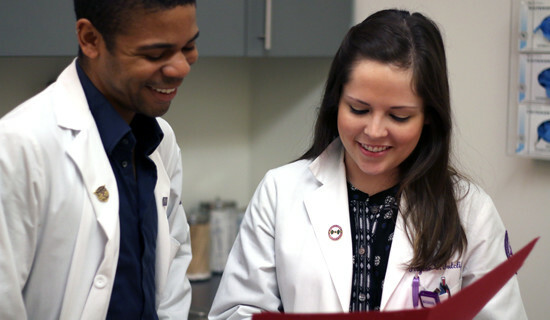 Northwestern University Feinberg School of Medicine and the McGaw Medical Center of Northwestern University welcome students from diverse backgrounds to apply for senior elective rotations. Learn about available stipends and eligibility for this program. McGaw Medical Center of Northwestern University hosts an annual showcase to increase diversity in the McGaw residency program applicant pools. The showcase is typically held in spring and is a great opportunity for prospective fellows to meet with program directors and current housestaff and learn more about the available programs. McGaw encourages underrepresented groups to come to the showcase and learn more about our programs. McGaw defines the following groups as underrepresented for all programs: Black (African/African American), Latino/Hispanic (Mexican American, Cuban, Puerto Rican, Central American, South American), Native American, Native Hawaiian, and LGBT (Lesbian, Gay, Bisexual, Transgender). Women are defined as underrepresented for: orthopedic surgery, surgery, neurosurgery, emergency medicine, urology, and plastic surgery. Men are defined as underrepresented for: obstetrics and gynecology, dermatology, pediatrics, and family medicine. Check here for information on the 2017 event. Many Feinberg departments have created their own diversity initiatives and committees so faculty and trainees can get involved in recruitment initiatives, community partnerships, and campus collaborations at a grassroots level.